To enhance the professional practice of university faculty, university candidates, and public school faculty, and to enrich P-12 student learning and achievement. 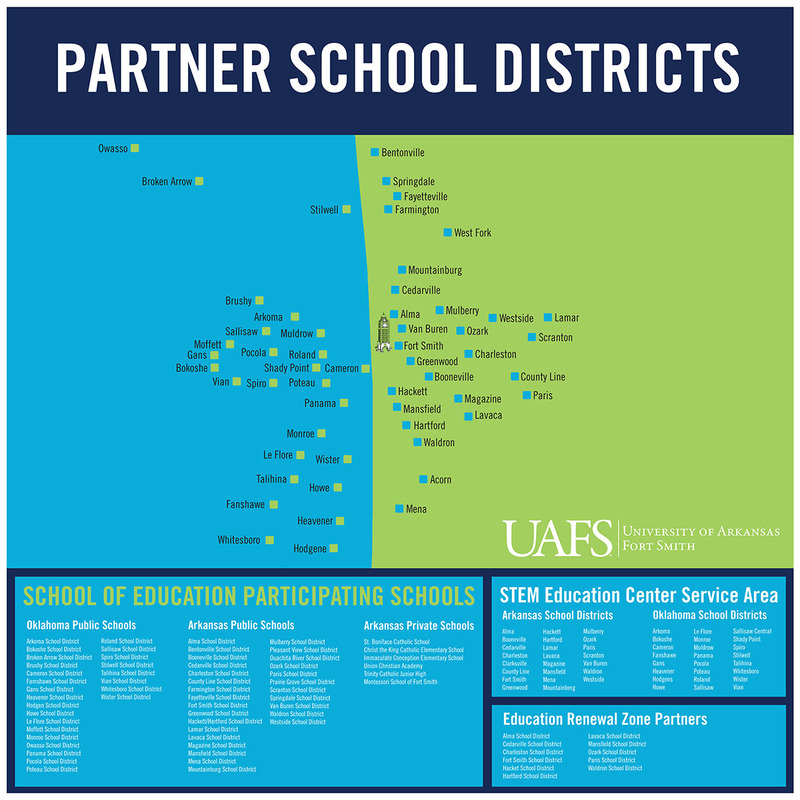 Our UAFS School of Education partnerships with Van Buren Schools and Fort Smith Public Schools provide school-university cultures committed to the preparation of future educators that facilitate active engagement in the school communities. Instruction takes place on various public school campuses, where pre-service teachers acquire content knowledge and pedagogical instruction on site. These learning experiences are complimented by numerous hours of observation in K-8 classroom settings.